A Canadian developer is in the process of purchasing Playa Vista’s parent company and will take control of about 110 acres of coastal land. 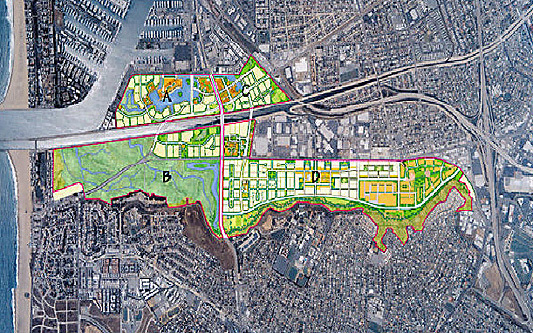 Playa Vista consists of about 1,000 acres, and until last decade was mostly undeveloped. But about 2 million square feet of offices space and 3,000 homes have sprung up since. A group of investors led by Brookfield Homes, of Fairfax, Va., has reached an agreement to pay more than $250 million for the remaining 110 acres of undeveloped land in Playa Vista, according to people familiar with the terms of the deal. The new owner, Brookfield Asset Management, plans to develop the vacant land with about 600 to 800 homes, 1,500 apartment units and a downtown area with a supermarket, movie theatre and office buildings. The sale has yet to be announced publicly, according to the Wall Street Journal. Brookfield, controlled by Canadian real-estate investment firm Brookfield Asset Management, while another real-estate firm, Lincoln Property Co., is planning a downtown-like “village” that includes a supermarket, movie theater, and office buildings. The Brookfield purchase hasn’t been announced publicly because it apparently hasn’t been completed. Brookfield is buying the land from Playa Capital, a development company owned by a partnership of pension funds and Wall Street firms including Goldman Sachs Group, Morgan Stanley and hedge-fund firm Oaktree Capital Management.